There are a couple of other things about Hawaii that have recently come to mind. They have nothing to do with the beautiful flora and geography of the state. Rather they have to do with the states attitude toward energy conservation, recycling and its general approach to the environment. 1. Solar panels in abundance. Both residential and commercial buildings are covered with them. 2. No plastic containers. In fact when you go into a store you are not given a bag. You have to bring your own reusable container for your purchases. 3. Luggage is screened at airports separately from TSA screening the purpose of which is to make sure no harmful plants or foods are brought in or taken out. 4. They are very fussy about leaving wildlife undisturbed both on land and in the sea. For example it's illegal to touch any of the many large turtles that will be within reach when you snorkel. 5. You may not remove chunks of lava however small from the beach. Look at it but leave it alone. 6. Littering fines are very high. Well into the hundreds of dollars. 7. Admiring the flora is of course fine. Picking wild flowers is not. Leave them be. On an unrelated note-even though you often see signs saying Private Beach, they are in fact all public. The signs are put there by locals who don't want tourists tramping all over. 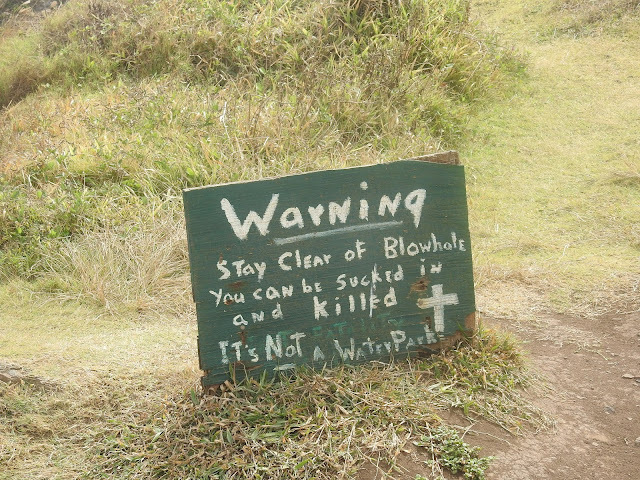 Also, there are cautionary signs posted at all overlooks and beaches. None of the beaches has lifeguards. So you're on your own. As far as the overlooks go, proceed with caution. Use common sense. Get too close and you're in trouble. There are probably a few I have missed but as you can see Hawaii is determined to protect itself from the damage that some tourists can cause and from themselves.